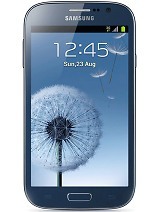 I am galaxy grand user where I am using Android 4.0. Few days ago, Google launched the latest version of android i.e Android 4.3. I want to upgrade my mobile to this version of android. What should I do? Re: How to upgrade Samsung Galaxy grand to Android 4.3? Its very easy to upgrade your mobile software version.For upgrading your mobile software. you can connect your mobile with your PC. And open your PC Samsung Kies software latest version. then check update of your device. If update available then it can be show you. Now click on this update link and download it. During this process use high speed internet connection and could not break or interrupt your internet connection.